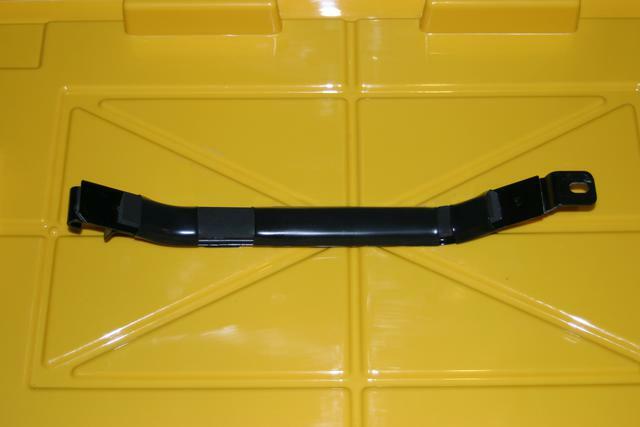 Pictures of the fuel tank straps. Over the weekend I removed the rear subframe to replace my rear trailing arm bushings. I noticed that several of the fuel tank strap cushions were out of position, and one was missing. The fuel tank was hitting the bare metal of the straps, and was a little loose on the driver side. That explains one of the clunking noises in the rear. Instead of ordering new BMW foam pads which would just come out of position again, I ordered foam strip (P/N 93275K36) and heatshrink tubing (P/N 7132K79) from McMaster-Carr. 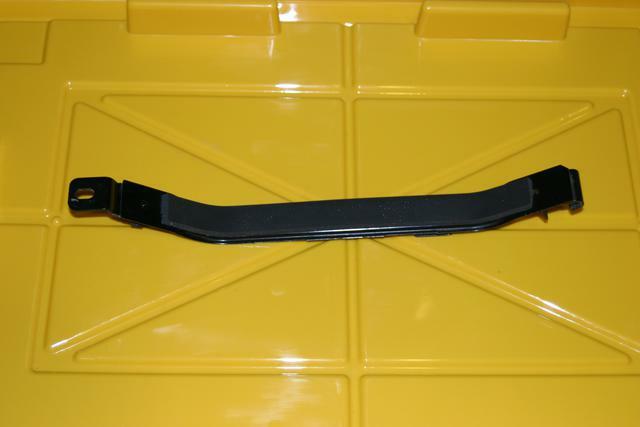 By using one long strip instead of multiple short strips, there should be less chance of the foam moving out of position. In addition, the heatshrink tubing should help keep it in place for a while. 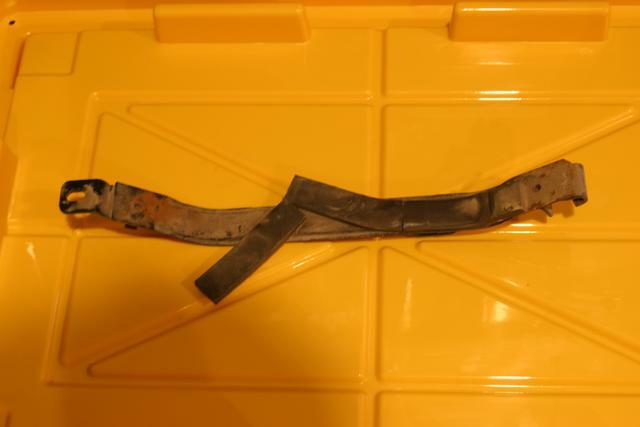 This picture is the driver side strap before my fixes. The rust on the left end (which is the rearward end when it's on the car) is from the tank rubbing/bouncing on the strap because the pad is out of position. Here's what the strap looked like after I touched up the strap with spraypaint and applied the new foam strip. And here's what it looked like after I applied some heatshrink tubing. If I had to do it again, I'd probably just use rubber splicing tape (self-fusing) instead of the heatshrink tubing. Easier to apply and would yield a tighter fit. The heatshrink tubing is just barely small enough to work, and anything smaller would be difficult/impossible to slide into position without removing the cable holder that's on each of the straps. The cable holders here don't really like to be removed, I'd replace them with new ones if I removed them. 3:1 polyolefin heatshrink tubing would probably work too, but has less resistance to abrasion and chemicals than the 2:1 PVC that I used.